Top things to outsource when you start running your own business. Running your own business can be incredibly stressful and time consuming. You feel like you have to be an expert in all areas and manage everything right down to the tiniest. But that will only make you more ineffective as your priority should be building your business and providing a good service to your clients, whatever that may be. There are some key business functions that you can outsource to other professionals that will free up your time and give you piece of mind that these companies will probably be more reactive than you can be should any issues arise. Here is a list of possible areas you can outsource. 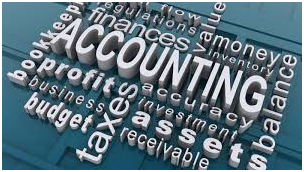 Accountancy and bookkeeping – Keeping your finances in order can seem like an incredibly daunting task especially when your business picks up and grows and you have lots of invoices to issue and expenses to deal with. This is where a bookkeeper is invaluable as they can take all of that stress away. You will find bookkeepers that are happy to work from your office and others that are happy to collect any items that they need and then work from their own locations. An accountant can help with the higher-level financial work and can also help with establishing your business and making any changes that may be needed at Companies House. Your accountant will not only create and file your year end return but will also help keep you updated with your business financial position throughout the year and can advise you when you are looking to expand your business and also if you are in need of any financing. Website design and SEO – Having your website designed by an agency that knows what they are doing and how to ensure that all the right coding and SEO elements are including from the start. Gloucester Website Design company Digi-tel are a top Gloucester website design agency that can help support you with your website needs. They will take your branding colours and logo along with an explanation of your business and how you differ from your competitors and they will produce a website that you will be proud to show off and that has some of your personality in it. IT maintenance – there are many smaller IT providers that offer a maintenance package whereby if you have any issues with your IT equipment you can log the issue with them and then will then remotely access your systems to resolve any problems. Having such a company available is great at reducing your downtime should a problem with your computer occur.